Written by admin on July 14, 2012 . Lotus Nguyen is a life-long Buddhist practitioner. 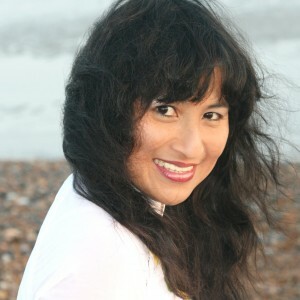 Originally from Vietnam, Lotus now lives in Brighton and works as a mindfulness trainer and coach. The practice of mindfulness has helped Lotus to create peace and joy in her daily life whilst dealing with life’s challenges and obstacles effectively. Lotus is passionate about sharing this practice with others, to enable more people to feel the peace and happiness that living mindfully can bring. As well as mindfulness practice, Lotus loves to express herself through music and dance. Over the years, she has done many forms of dancing from ballroom and lambada to salsa. A few years ago Lotus discovered Argentinian Tango with its beauty and passion and realised that her mindfulness practice helped enhance her experience on the dance floor. She could easily let go, listen deeply to her partner and surrender to being “in the music”. She could deeply connect with any partner and every dance was a blissful experience. She realised that dancing tango provided her an opportunity to practice mindfulness, strengthening her awareness, alertness and concentration. Lotus is passionate about sharing the practice of mindfulness in a fun, creative and interactive way. Mindful Tango adds another dimension to her mindfulness work. It is the deep connection, not just to oneself but to others and to the music. She wants to help both mindfulness practitioners and tango dancers to create moments of profound happiness and deepen their experiences whether on the dance floor or in their daily lives.